Ask any Sri Lankan his opinion about public servants. The answer invariably would be that they are apathetic, irresponsible, domineering and dull if not stupid. This common perception may have been ingrained in their minds by the disappointing experiences which they may have had with them repeatedly. Yet, there are many public servants who have defied that common perception. 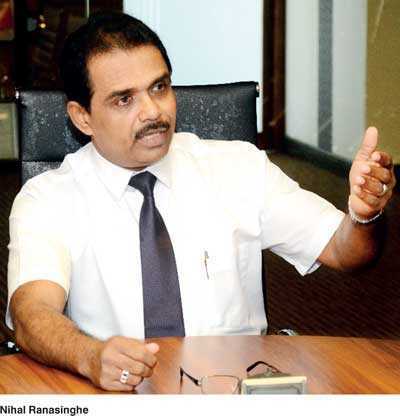 Nihal Ranasinghe, presently the Controller General of Sri Lanka Immigration, is one of them. I met Nihal at the Postgraduate Institute of Management, commonly known as PIM, when he read for a Master’s Degree in Public Administration or MPA, there. He took three courses which I facilitated as a visiting resource person. The course director, Dr. Lloyd Fernando, had smartly designated us as facilitators and not lecturers, because we were expected to facilitate learning by those experienced adult students who had joined the programme. Lloyd’s reasoning was that the participants too were well-equipped with a repository of knowledge and all what we had to do was to bring that out into open, formalise it and facilitate shared learning by all. The three courses which Nihal took with my facilitation were macroeconomics, fiscal policy and cross-cutting issues in development. He was at the top of the class, well ahead of me, the facilitator, when it came to critical thinking, foresight and innovative design. Everybody loved to listen to him when he read out for the benefit of all other participants the weekly short papers they were expected to write on various topics. I recall that they had all been rated at the highest by all the facilitators. He completed MPA with flying colours earning a merit pass, the highest grade which PIM would give to its postgraduate students. But, Nihal’s life had not been so smooth and uneventful when he was at school compared to his later day career success. He was very poor in English when he was at school and got only an ‘F’ grade for English Language at GCE (O/L) Examination. I asked him then how he could speak and write excellent English now. His answer was very humble and should inspire anyone who would have given up learning that language after failing in the first few attempts. “That was not an easy task, but something attained through much painful labour, dedication and unwavering commitment,” he said. This experience of Nihal’s should surely inspire all university students of the day who have given up the fight after a few unsuccessful attempts at learning the language. I meet most of them when they are in the final year at USJ and notice that they all belong to a lost generation. The loss is not by circumstances but by choice since there are enough opportunities which the university has afforded to them to master the language. My experience as well as that of Nihal’s has been that it would not take more than six months for anyone to master English if he or she makes an honest attempt at it. It is up to students to appreciate the need for learning an international language and get into the job seriously. After graduating from USJ, Nihal had two short stints, one at an audit firm and the other at BOI, before he got himself selected to Sri Lanka Administrative Service or SLAS. Even there, he had to serve in the regions in numerous capacities before he could get a break at the head office of the Immigration and Emigration Department. That is where he was able to lead a team of dedicated officers to digitise the working of the Immigration Department. He was not a tech man, having studied in the commerce stream and graduated in business administration from USJ. Then, how could he digitise the Immigration Department? I asked him. “I was only the manager,” he said. “The tech work was done by technical people. As you know, the introduction of high-tech to the Immigration Department involved studying laws, procedures, global practices and connection with other Government agencies. Apart from that, that was change management and successful change management required a 360-degree management. You have to manage your bosses, your peers and those below you. In any population, there are some people who are willing to change but there are a lot more who are unwilling to do so. This applies to Immigration Department as well. How did he really bring about a change in the mindset of people there? “We trained those who are willing to change in the new art and they jumped at the opportunity like ducks to water. The problem was with those who are unwilling to change. But when they saw with their own eyes that the new systems being developed are really working, they gradually started to come on board. You need patience and understanding to tap their potential for the common good of the organisation” He explained. Today, the Immigration Department is one of the two Government bodies which have implemented an end-to-end digitisation programme. The other is the Motor Traffic Department. I have experience in both and I might vouch that both are trailblazers in developing e-Government in Sri Lanka. But Immigration is a few steps ahead of the Motor Traffic Department because it is not complacent with the present and mapping out strategies for the future. Nihal and his team should get credit for that. Take for example the issue of passports. With Sri Lankans becoming more prone to foreign travel, the demand for passports had been on the increase continuously. Had the old paper-based passport issue system been there, the Department could have collapsed under the heavyweight of the paperwork involved. Today, you still have to fill a paper-based form and submit paper-based documents. But your digital photograph is transmitted to Immigration by authorised photographers via internet and the paper forms you have submitted are returned to you after they have been captured digitally and stored in Immigration servers. If you want to get a new passport or an amendment to the old one, you do not have to resubmit those forms; the Immigration could verify your information by accessing to the same in the server. Sri Lanka has outdone even the developed countries with the online issue of visas to foreigners travelling to the country. Only a person who may have applied for entry visa to another country would know the hassle he has to undergo for getting the stamp on the passport. You have to stand in a queue, lodge your passport with numerous documents with the visa office, wait restlessly for days until you get it back and even when you get it back, there is no assurance that you have got the visa entry. But a foreigner wishing to travel to Sri Lanka could apply online, pay the visa fee online and have the visa approval online. It is so simple and quick that a traveller planning to travel in the night could have his or her visa approval obtained a few hours before he or she is to board the plane. This system has been welcomed by foreigners immensely and helped Sri Lanka to increase its tourist inflow from less than a half a million a few years ago to some record number like 2.5 million in 2017. Had the old system been there, the Sri Lanka’s missions abroad would have been the subject of curse by prospective travellers. What has been done by the Immigration Department is really appreciable. But that is not the future. Today, even the passports have been converted to digital ones known as e-Passports. It has made foreign travel easier because you do not have to wait long hours in front of Immigration counters at airports. Those who possess e-Passports are served not by men and women in uniforms but by e-machines installed in the Immigration areas of airports. The operation of these smart machines is so easy that all that you have to do is to input your passport data, boarding pass number and finally, to assure that it is you and not another person who has stolen your passport and travel documents, your own fingerprint. Nihal’s next step is to go for an e-Passport system and that would really be a breakthrough in designing Sri Lanka’s future. The nature of creative minds is that they are eternally restless. They suffer from a kind of a fever that pushes them to go for new projects once one is completed. They move into areas which are not even the legitimate boundaries of their current occupations. Nihal’s present involvement is in such a project. He has observed that what Sri Lanka lacks is an effective machinery to convert ideas into implementable projects. I have talked about this in several of my articles in this series in the past when I said that the problem with the Ranil Wickremesinghe Government is not lack of ideas. They have a plenty of them as pronounced in numerous policy statements and vision strategies delivered by them from time to time. But what is lacking is a machinery to convert these ideas into policies, policies into plans, plans into projects and projects into implementation units (available at: http://www.ft.lk/columns/Policy-disagreement-in-Unity-Govt--has-been-the-killer-of-the-economy/4-652016). Nihal has come up with a blueprint to solve the problem. He has suggested the establishment of a National Expert Consultation Secretariat or NECS to connect different units of the Government into a single objective. Such a secretariat, says Nihal, will help the Government to set goals that would ultimately be directed to a congruent point, assure consistency among different policies, coordinate their implementation without conflict with other policies, while observing that they do not violate any of the laws of the country. How will this differ from the existing National Economic Council or NEC chaired by the President. NEC, as it operates now, is a meeting point for many top level politicians and public officers to sort out pressing micro level issues. It should graduate from a micro-issue handler to macro planner similar to the role played by South Korea’s Economic Planning Board or EPB in the early stage of its development. That Board under President Park Chung-hee had three main tasks: preparation of development plans, oversee the Government’s annual budget and attract foreign capital. It was equipped with four bureaus to handle overall planning, budget, material resource mobilisation and statistics. There was a monthly review meeting attended by President Park and all economy related officials. Thus, there is a necessity for the President to reformulate NEC as a fully-blown national planning council. Nihal’s paper, prepared sometime back, has suggested placing NECS in between the Cabinet Committee on Economic Management or CCEM and the Cabinet of Ministers. But now, since NEC has replaced CCEM, Nihal’s outfit can function as an expert arm of the former. NECS will function on three pillars, namely, the resource mobilisation pillar, requirement identification pillar and referral mechanism pillar. Nihal says that this is a way to enlist the expertise of Sri Lankans within the country and those who work outside at present but willing to support its development initiatives. Such a body will help the Government to convert its wishful thinking to policy, policy to plans and plans to implementable projects. In the absence of such a mechanism, the Government at present is just drifting without any aim. Sri Lanka which aspires to become a rich nation within a generation cannot afford to run that risk. People like Nihal Ranasinghe who have been the designers of Sri Lanka’s future have been hidden from the limelight. This series will identify them and bring out their work to public attention.